The Gaston Livery Stable was built in 1893. It is a massive, 12,000 square foot, two-story barn, made entirely of local brick. 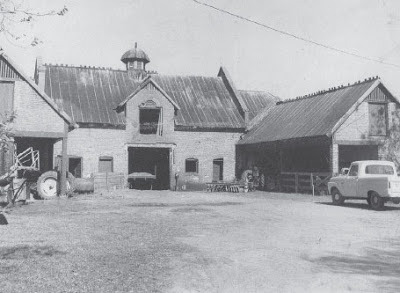 When it was constructed, brick barns were something of a rarity, especially in the Southeast. Brick was more expensive than wood and was more likely to be used in a home than in a stable. According to some reports, the brick structure replaced a wooden one that had burned down. This explanation has a certain logic to it, as well as a precedent. Another historic brick barn, one built by Leland Stanford in Palo Alto, California, was built in 1888 after the original barn went up in flames. That stable, still standing today and built of "fire-proof brick," is now home to the Stanford University equestrian team. Back around the turn of the last century, the ground floor of the Gaston stable had a number of stalls for horses and space for carriages. The second story was a loft, where carriages could be stored if there was not room for them downstairs. There may also have been a repair shop for the carriages in the loft. Vehicles were hoisted to the second story through the use of a carriage lift, a device that was used in two-story barns in the years before the horseless carriage triumphed over the traditional one. The stable was owned by David W. Gaston, who was a member of a prominent family in Aiken – his younger brother was the mayor of Aiken at one time, as was his son, and throughout his life, he held various positions in city government. Starting around 1900, he operated a livery as well as a riding school. The livery catered to members of the Winter Colony – wealthy ladies and gentlemen who came to Aiken from Northern climes for the milder winters of the South. Some of the ladies and gentlemen of the Winter Colony stored their own carriages at the Gaston stable and also boarded their horses there. Others rented horses and vehicles from Mr. Gaston. There were saddle horses available, as well as pony carts. The stable could supply carriages for "hunting parties, picnics and moonlit hay rides." An experienced driver was sent along with the rig as well as a stable boy to watch the horse while the customer went shopping or calling on friends. Located just outside the historic horse district between Park and Richland Avenues, the stable was close to the railway and a convenient distance to the train depot as well as to the majority of the Winter Colony homes and the downtown shopping district. Mr. Gaston ran a thriving business until his death in 1930. His clients included such illustrious personages as Tommy Hitchcock, the 10 goal polo player, who reportedly boarded some horses at the stable. In a short piece written by Dorothy MacDowell and published in the Aiken Standard in 1970, the author, a historian, compares the stable to structures at the magnificent Middleton Place in Charleston. "Even after the advent of the automobile in Aiken there were numbers of carriages, elegant victorias, surreys and rigs here," she continued. "I have heard several people speak of the charming Mrs. R.V. McKimm, dressed all in white and looking every bit like a queen." After Mr. Gaston died, the livery stable went out of business. The property itself was passed down to Gaston's descendants. With each generation, the amount of land that belonged to the home and stable diminished. The property was sold in 2005 along with the original Gaston home, which has since been restored. Today, the home, stable and the 3.4 acres of land they sit on are again for sale. Although the Gaston Livery Stable is eligible to be listed with the National Registry of Historic Places, it currently has no historic designation. 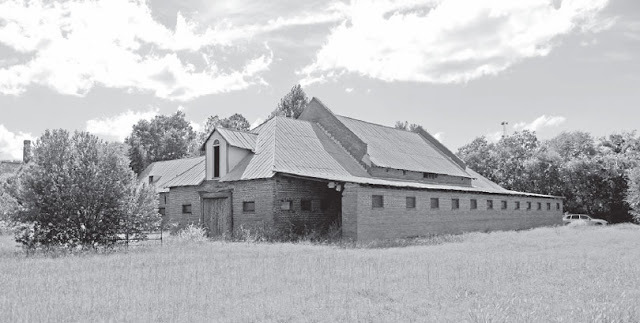 Aiken has several historic districts that provide some protection to significant structures that lie within their boundaries, but the Gaston stable is just outside these districts. 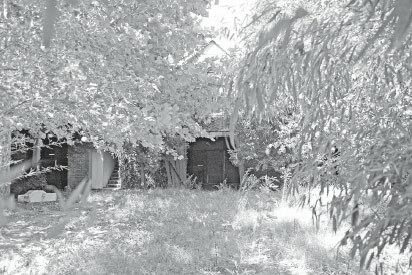 "There is nothing to prevent someone from buying the property and tearing down the stable," says Coleen Reed, a historian who has been active in saving other Aiken landmarks. "I read an article that said that fewer than one third of the barns that were in the United States in 1930 remain. This is a unique barn in its shape and in its style. I've only been able to find five all brick barns in South Carolina that are still standing. It wasn't very popular to have a brick barn – it was a little elitist. There were probably never more than 25 in the state. 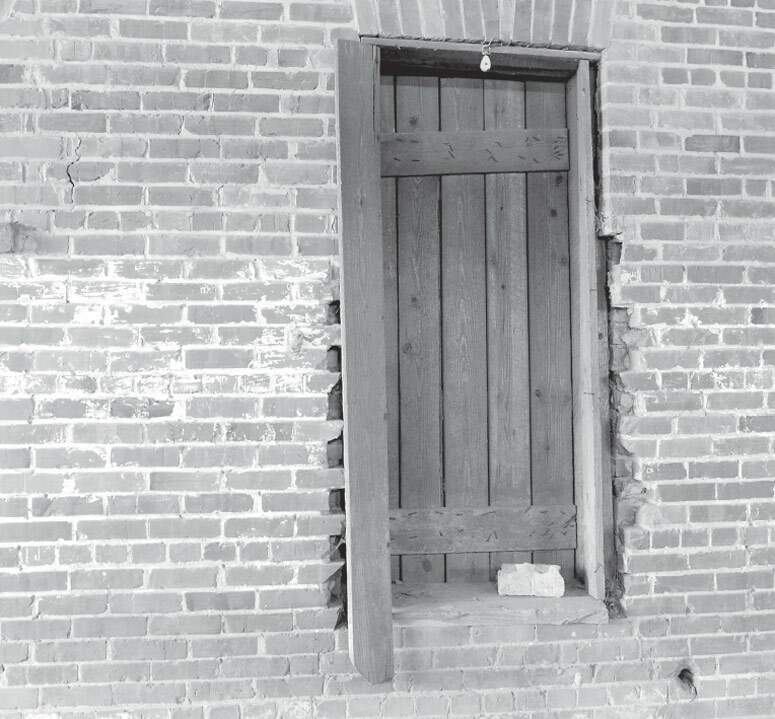 From my research, it's probably the oldest of the existing brick barns in South Carolina. A carriage lift is even more rare. This is one of four carriage lifts left in the entire United States." Worried about the future of the historic structure, Coleen Reed formed an advisory committee with some like-minded people about 18 months ago. This July, the Friends of the Gaston Livery Stable was incorporated. The group's goal is to purchase the stable, secure it a historic designation, renovate it, and then make it available to the public for some kind of educational or recreational purpose. The group, which has applied for its own 501c charitable status, is currently operating under the umbrella of the Friends of the Aiken County Historical Museum. They have raised funds through grants and private donations and are now in negotiations to buy the barn and 1.9 acres surrounding it. "First we have to buy it," says Coleen. "Then the big thing is to get it restored." After that, there have been many different suggestions for the structure's use. "I was very involved with Aiken's 175th year celebration,” says Coleen. “I have been thinking, wouldn't it be grand if we could do something like this every year? But it is a big undertaking. So if we could scale it down, but continue to celebrate the founding of Aiken, I think it would be great. We could have a founder's day at the barn. We could establish it as a living history park. A lot of people have approached us – farriers, blacksmiths, saddlemakers – they are all very interested. But we can't make any plans until we are the official owner." Elliot Levy, who is the executive director of the Aiken County Historical Museum, would like to see the stable returned to the carriage trade. He sees it as the natural setting for a carriage depot, a place where tourists could come to board carriages that would take them on a tour of Aiken's downtown and historic districts. Before that could happen, city ordinances would have to be changed to allow carriage tours of Aiken again – they are currently not permitted. According to Coleen, support for the project has been phenomenal. One of the first public fund-raisers is a barn dance on October 15 at the Red Barn on Chime Bell Church Road. In addition a square dance, the Save the Gaston Barn Dance will offer a Chinese auction, a live auction and a cakewalk. "Everyone has been so generous," says Coleen. "Everything for the dance has been donated. The most wonderful people stop me on the street to say how happy they are that we are doing this." People who are interested in historic Aiken are unanimous that the stable should be saved. "It should happen," says Elliott Levy. "It has to happen." To make a donation to help save the stable, send checks to Friends of the Gaston Livery Stable, 433 Newberry Street, SW Aiken SC 29801. Or contact Coleen Reed for more information at 803.648.4123.